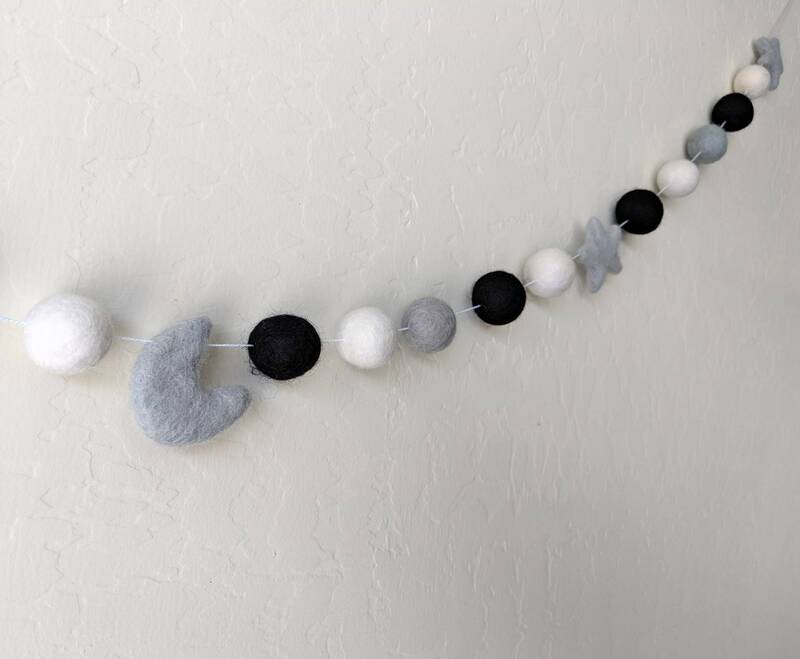 This one of a kind felt pom garland features soft colors of 100% wool felt poms (eco-friendly). 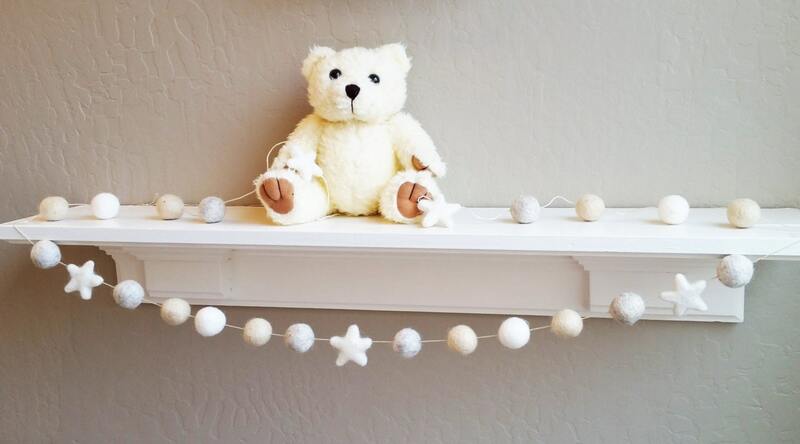 *Sweet nursery garland that is for a boy or a girl! 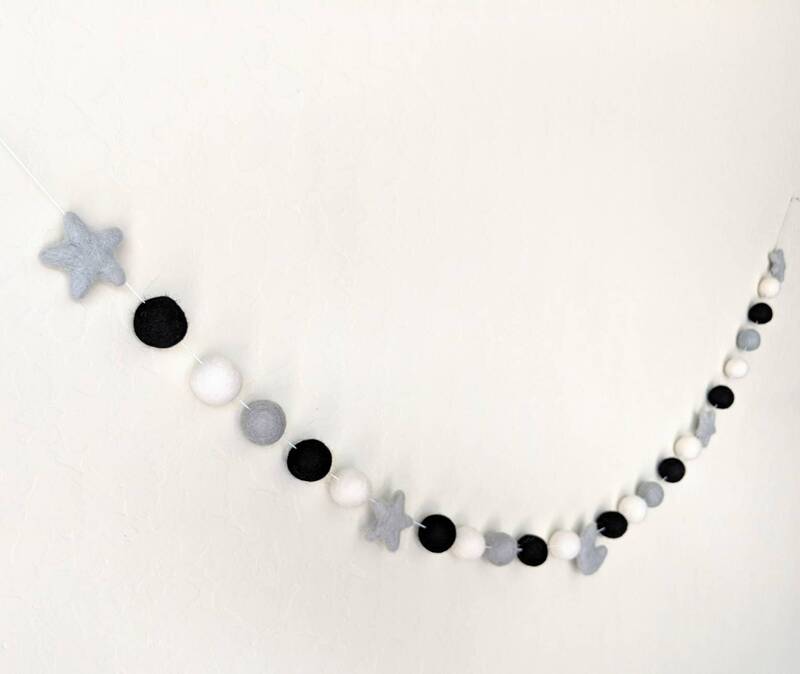 The pictures show the garland with the felt poms and stars right next to one another (measures about 3 feet). 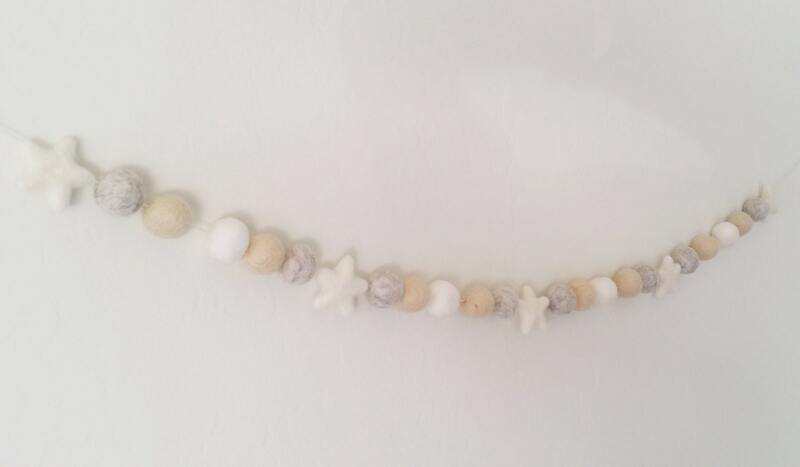 There are no knots in between them so that you can spread them out 2 or 3 inches as you wish! 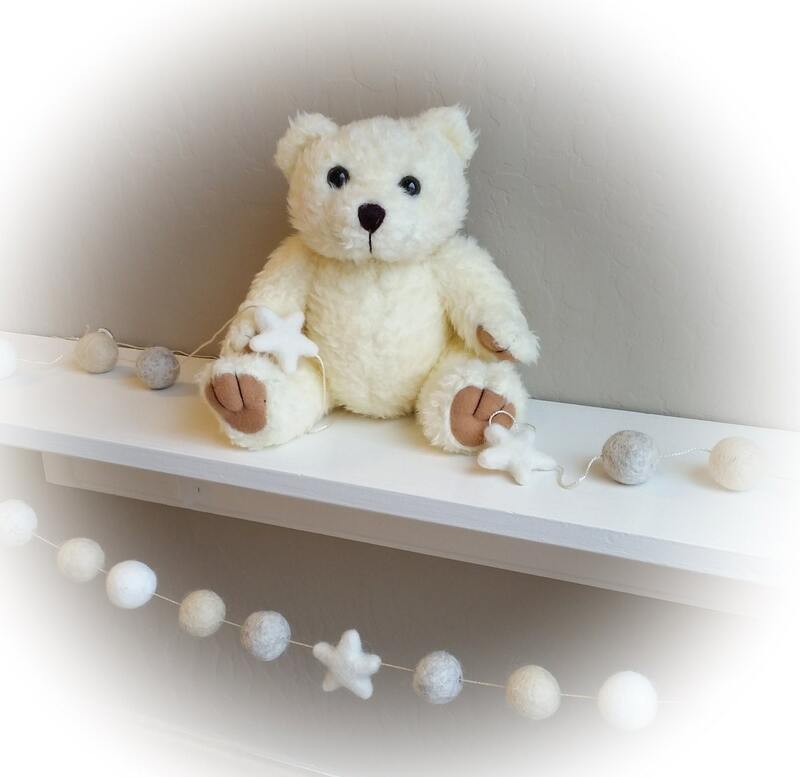 Please make sure that it is out of baby's reach (especially when your baby can sit up and pull up to a standing position; this can be a choking hazard). 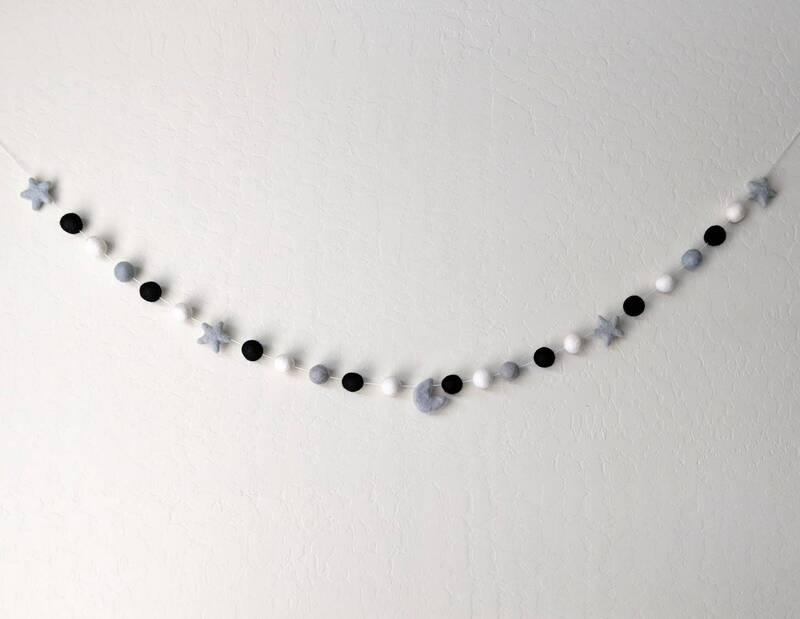 This item is made in my smoke-free home and will be ready to ship in about 5 business days.